Inside our Spring Catalog you'll find a variety of items like flower bulbs, premium t-shirts, jewelry, magazines, snacks and much more. 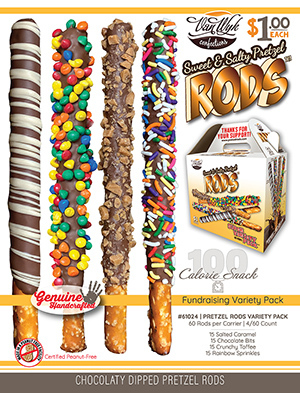 Otis Spunkmeyer combo fundraisers are among the easiest and most popular fundraisers for a reason - food sells! This brochure combines delicious frozen pizzas, pretzels, cookie dough, muffins and much more. The original Classic Cookie recipe in bite-sized cookies, made with the freshest, all-natural ingredients, and baked to crispy perfection. 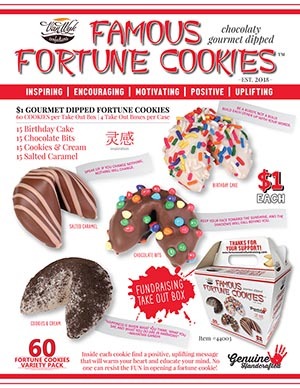 This catalog fundraiser is a great option for selling cookies with no-up front cost. Our brand new Sweet & Savory program will delight every palate! A creative combination of all of our best-selling items, you'll find your favorite frozen foods, convenient dry mixes, delicious chocolates and more! Food For the Soul catalog is a hand-picked brochure with a wide variety of 60 sweet and savory items that will give your group that added value and choice to their fundraiser. This is clearly designed to produce results! 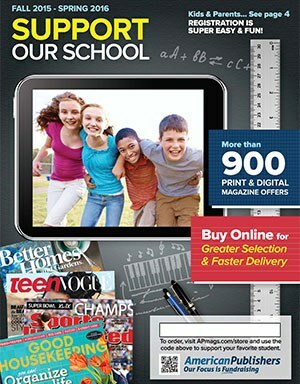 An exciting new 17 item brochure that shouts value! Full of best-selling snacks and food, there's something for everyone. 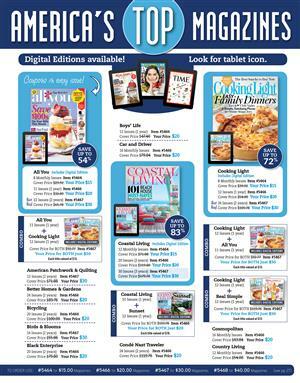 PushSave® leverages technology and the power of social media to improve traditional coupon books. YES, customized coupon books on your phone wherever you go and it’s PATENTED! This is a turn-key, easy to set-up and easy to promote fundraiser. $1 Cruz Chocolate Bars and Believe Kids have established a program to introduce and assortment of delicious chocolate products to fundraising starting with the $1 bar. Thriving on more than 130 years of tradition in cocoa and chocolate production. Otis Spunkmeyer pre-portioned cookie dough fundraisers work so well because the product is easily understood and in demand. No scooping, no mess and no running to the neighbors for a cup of sugar! They are a sweet way to go for your fundraiser. Jelly Belly catalog is a hand-picked brochure full of a wide variety of delicious Jelly Belly products that will give your group that added value and choice. These delicious treats will help you really knock it out of the park. Spirit Gear Direct offers 2 ways to get into gear! You'll have the options of a Spirit Gear Drive with Free Custom Online Store and Wholesale Ordering. 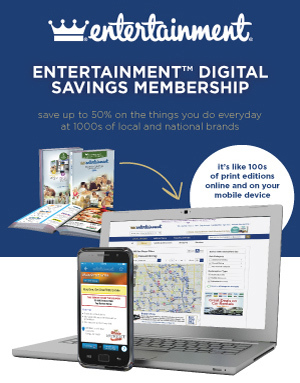 Entertainment Digital Savings card has thousands of local and national brands. You can save up to 50% on the things you do everyday + the mobile app is super convenient when you're on the go! Pretzel Rods are an irresistible treat. The rods are dipped in milk chocolate and rolled in deliciousness. 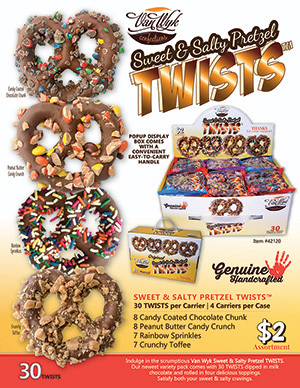 The mixture of the salty pretzel with the sweet chocolate and toppings is sure to satisfy all cravings.